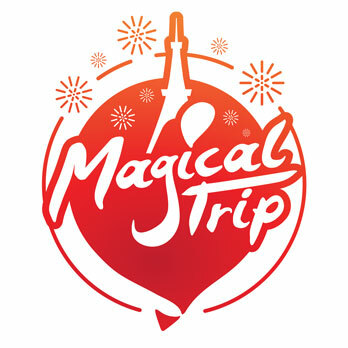 We’ll show you “must see events” in Shikoku for February. Shikoku consists out of four prefectures. An area filled with nature where you can enjoy mountains and sea, traditional Japanese culture in the form of temples and shrines. We’ll show you events about the preparation for spring called “setsubun” about Japanese sake, Ume (plum blossoms) and more. Kotohira-gū (shrine) is located in Kagawa, Shikoku. You can buy “egao” (smiling face) t-shirts at this well-known shrine. Smiling face brings happiness. Every year on the last day of winter in February the Setsubun festival is held. It’s a winter festival representative of Kagawa. Setsubun literally means “seasonal division”. In its association with the Lunar New Year, spring Setsubun can be and was previously thought of as a sort of New Year’s Eve, and so was accompanied by a special ritual to cleanse away all the evil of the former year and drive away disease-bringing evil spirits for the year to come. This special ritual is called “mamemaki (bean scattering)” and the end of this festival, you can get “hukumame” (lucky beans) .Besides this tradition you also can taste “azukigayu (red bean porridge) “in the evening. It takes more than 30 minutes on foot from the beginning of the entrance path to the main shrine. There are 785 stone steps so by that it’s also nice place for exercise and walking! Shikoku sake festival is the largest Japanese sake festival in Shikoku area. Awa-ikeda in miyoshi Tokushima is a popular place for Japanese sake brewing. This place often called ”Nada in Shikoku”. Nada is a city in Hyogo which is quite famous for Japanese sake brewing. There are mainly three events at this Shikoku sake festival. The first one is local sake tasting party. 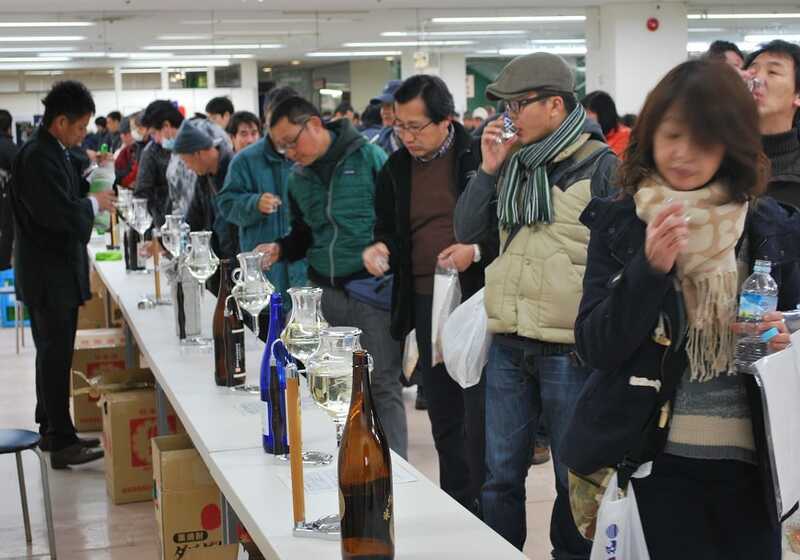 You can taste more than 40 kinds of local sake made in Shikoku area. It’s a wonderful way to find your favorite sake. The second one is by visiting the three breweries ( imakomachi / miyoshikiku / housui ) open for public. It’s a good opportunity to see how Japanese sake is made. The last one is Shikoku Sake Festival at the evening. This festival is becoming more and more popular every year and JR Shikoku offers more frequent trains during this festival. Kigensai festival is a day to celebrate Japanese first emperor Jimmu that was crowned to wish world peace. 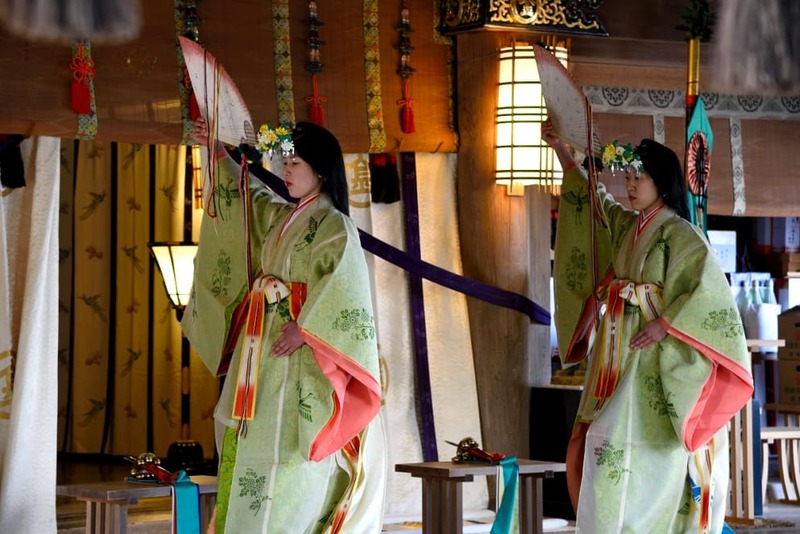 “Urayasu no mai” – A Shinto theatrical dance is dedicated to him. It takes more than 60 minutes on foot from front of the visiting path to the main shrine in round-trip and there are 785 stone steps. So it must be nice to go for a walk with enjoy the nature. We also recommend you to eat Konpira udon (noodle) before or after visiting this shrine. The combination of simple but delicious soup stock and thick udon noodle are so tasty. Besides there are five candy stalls on the visiting path. The traditional candy makes your Kotohira-gū (shrine) visit more fun. beautiful red & white Ume (plum blossoms) around he Honmaru hiroba (square) or along the moat. The nice view of Ume and castle are wonderful. You also can enjoy other flowers and trees all year around at Matsuyama castle.